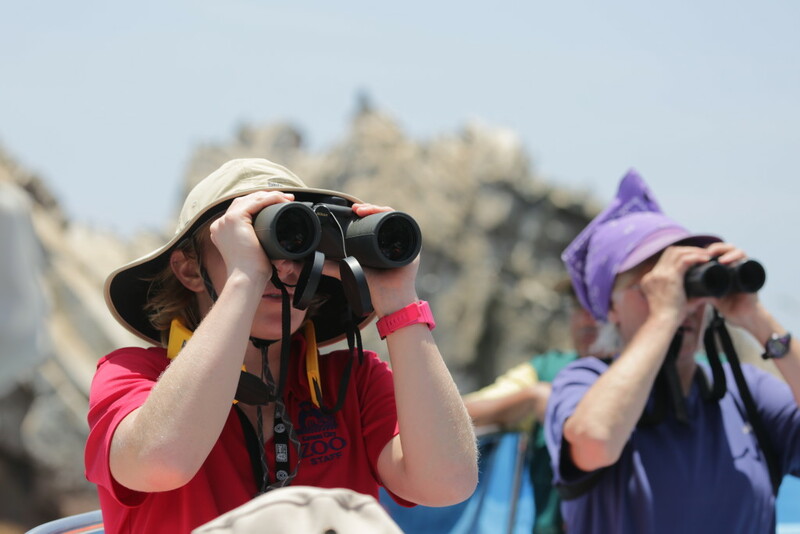 Kevin Graham, Wilds of Africa bird supervisor, guest-blogs on ZooHoo! Over the past 100 years, the population of African penguins has declined from more than two million breeding pairs to slightly more than 20,000 breeding pairs left. This dramatic decline has resulted from many factors, unfortunately all of which are human-related. 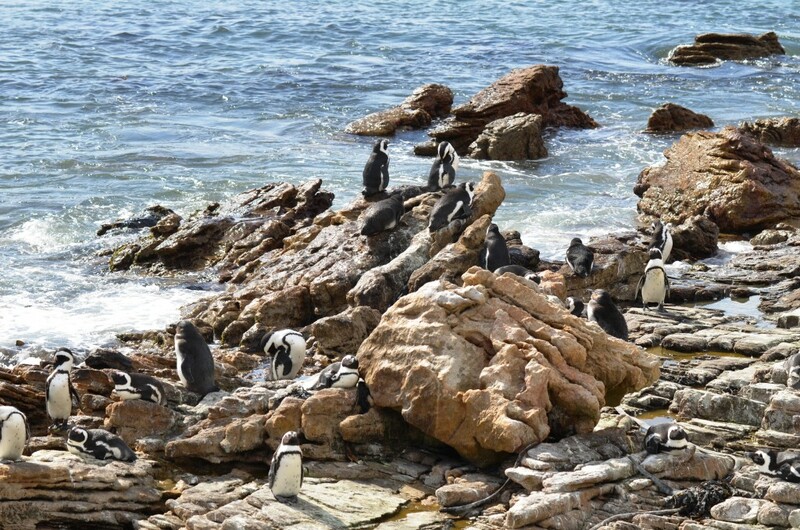 I’ve recently returned from a workshop and time studying the various remaining colonies of African penguins in the Cape Town area of South Africa. Along with our VP of Education and Conservation, Dr. Patty McGill, I had the privilege of meeting the people who work in the field with these native penguins. For quite some time, I will continue to work with them to develop a crucial nesting plan to help the birds and begin their recovery. In the first half of the 20th Century, egg collection from the breeding range decimated the hatch rates, with estimates of more than 1.5 million eggs per year being destroyed or collected for food and other uses. Around this same time, it was found that guano (bird feces) had accumulated to a depth of many feet on the breeding islands. 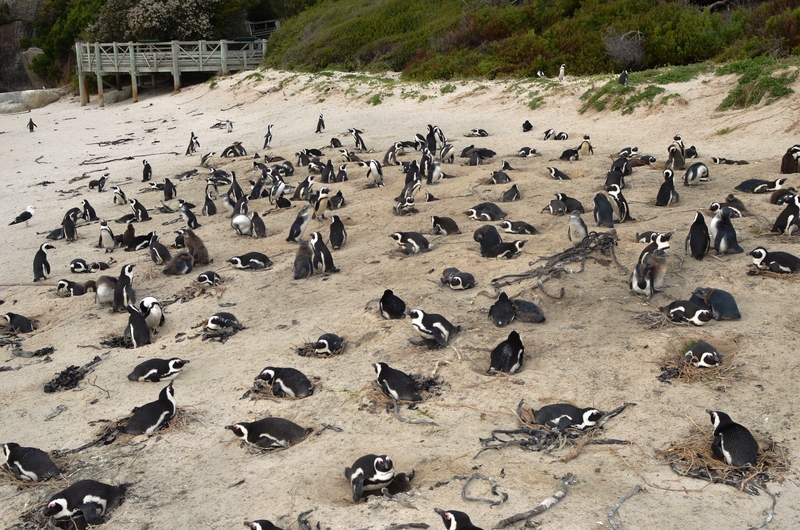 The guano served as a perfect substrate for the penguins to dig their nest burrows, but it also was a valuable crop fertilizer. 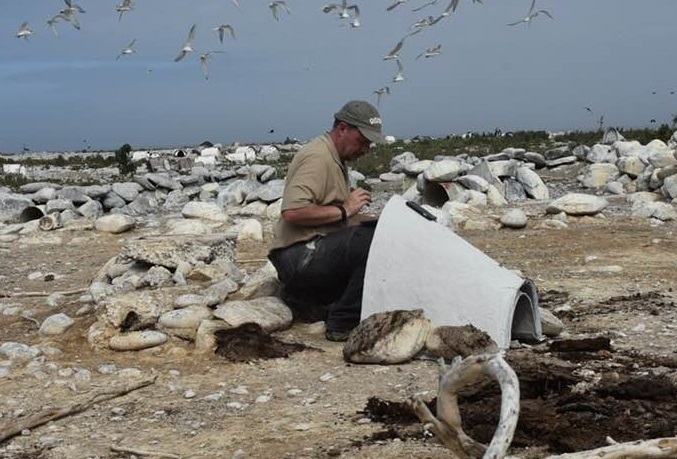 So humans scraped the guano from the islands, leaving the birds with few options for nesting burrows. 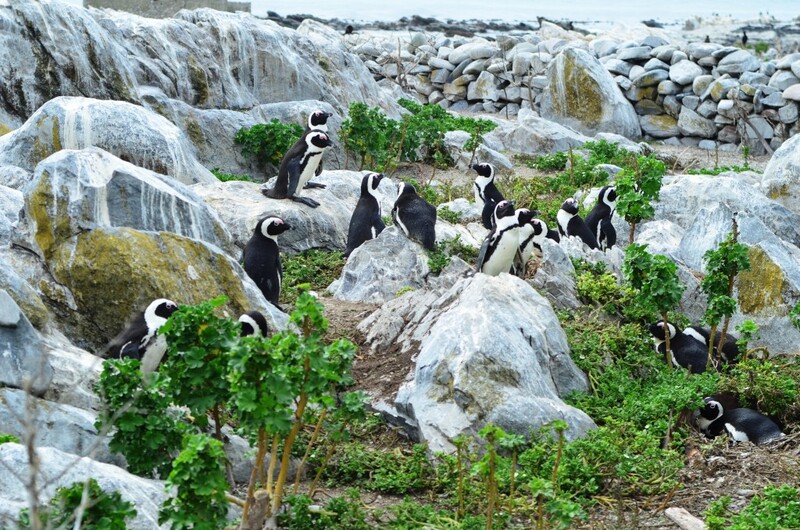 These two events, in conjunction with catastrophic oil spills; and the impact of unrestricted commercial fishing; human encroachment into breeding ranges; and global climate change have compounded the challenges faced by the African penguin population. 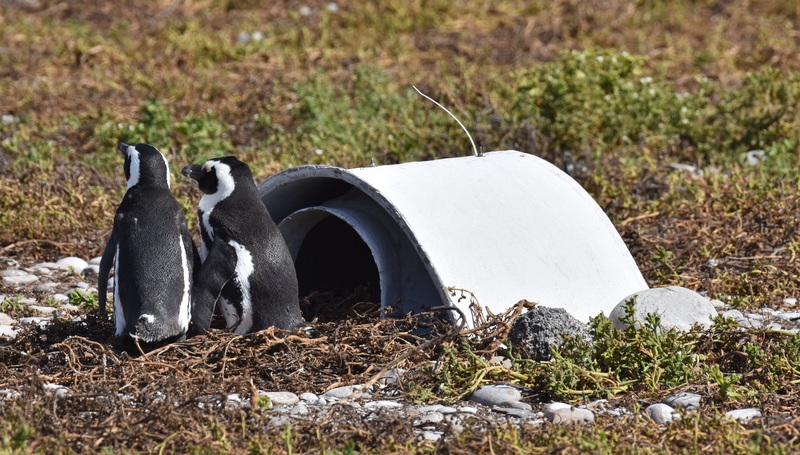 Recently, organizations and colony managers in South Africa have tried to develop an artificial nest that African penguins could use to supplement the little remaining nesting habitat. These attempts have seen limited success. 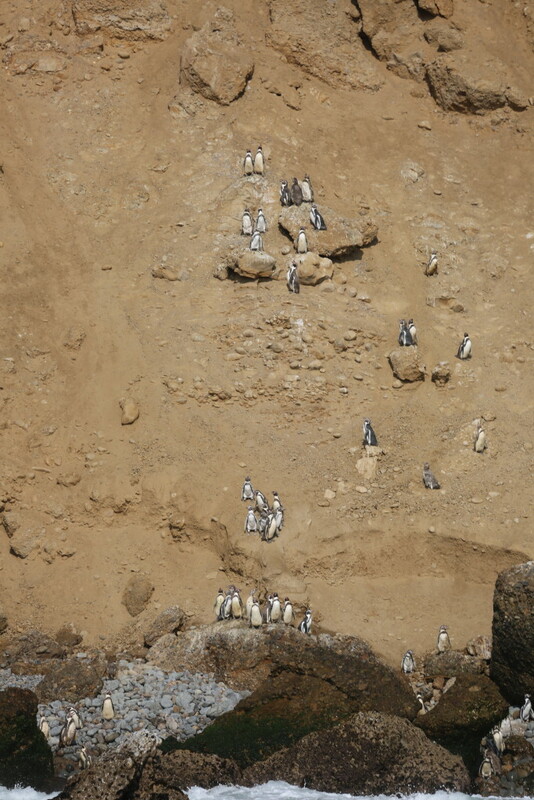 In many cases, the penguins chose not to use the nesting structures, either due to overall design, excessive heat accumulation, ectoparasite buildup in the structure, and other potentially unknown factors. 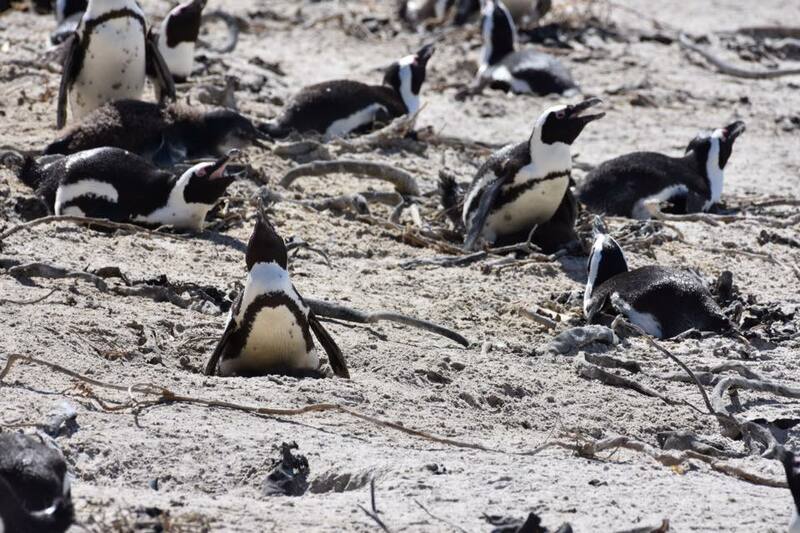 In some locations, this has led penguins to nest on the surface, exposing their eggs and chicks to additional risks that weren’t as significant in the burrow nests. 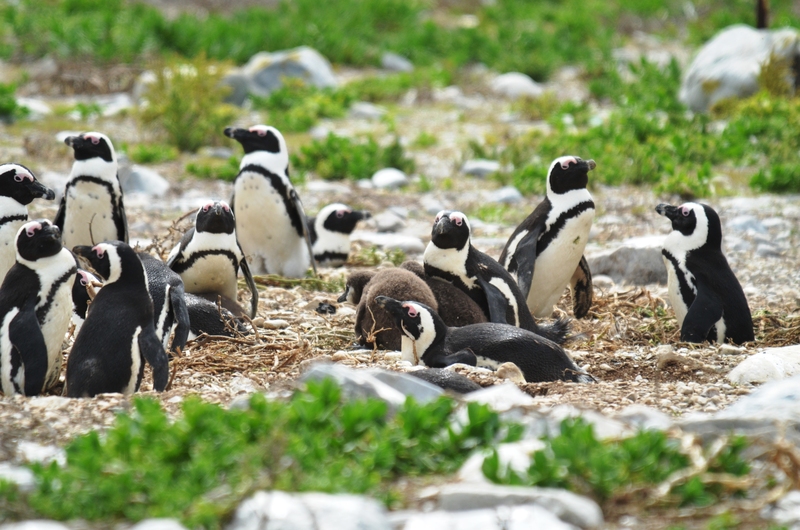 Predation from land mammals such as mongoose, aerial predators of eggs/chicks such as kelp gulls, and even pet and feral dogs pose dramatic risks to nesting penguins in exposed areas. In addition, those exposed surface nests face the challenge of temperature extremes not found in the burrow nests, where temperatures are regulated by the surrounding substrate. This leads to a higher rate of nest abandonment when the climate is unsuitable for the adults to continue their nesting attempt. 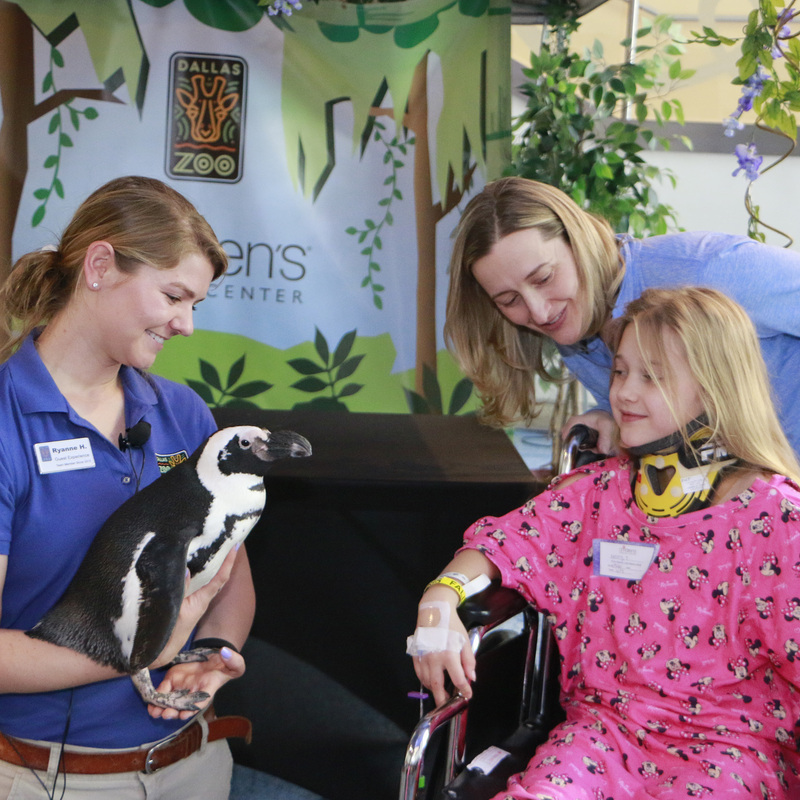 Association of Zoos and Aquarium (AZA) member institutions, including the Dallas Zoo, have been strong partners in the protection and attempted recovery of African penguins for more than two decades. Recently, a new initiative to focus efforts was implemented: AZA’s Saving Animals From Extinction (SAFE) program. I’m honored to have been given the opportunity to work with this program as the North American coordinator for the Artificial Nesting Project. I’ll be working collaboratively with organizations, researchers, and colony managers, all focused exclusively on creating a nesting system to help this highly endangered species recover. 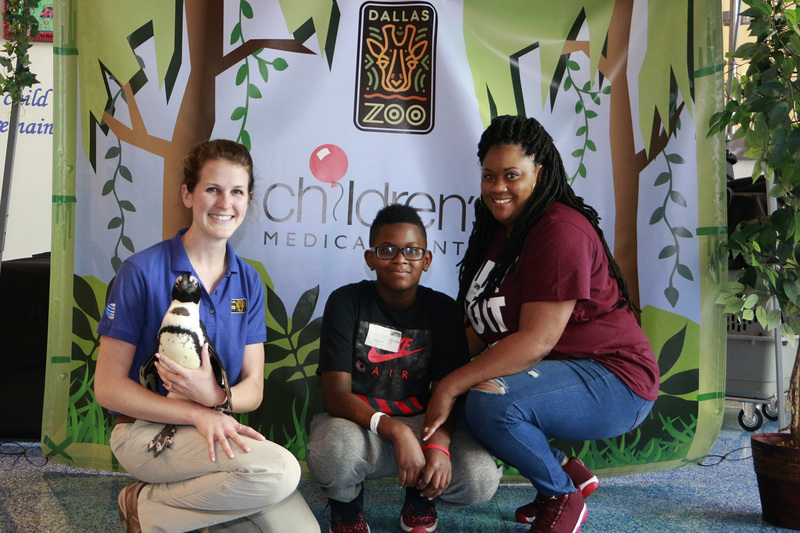 Dallas Zoo’s VP of Conservation and Education, Dr. Patty McGill, guest blogs on ZooHoo! 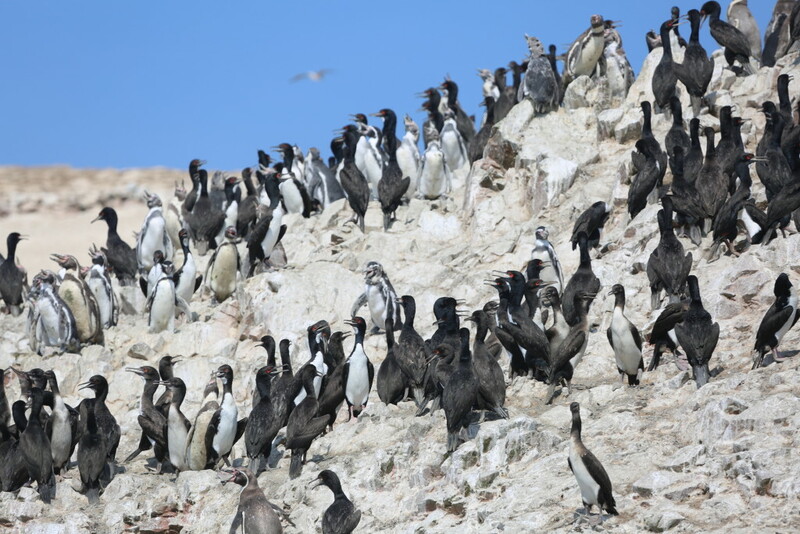 For 18 long days this past January, I joined more than 20 biologists from across the world to conduct a critical population census on Humboldt penguins along the Peruvian coasts. Our work started outside of Lima, and we made our way south to a site close to the border of Chile. For 15 years, I’ve traveled to Peru in search of these vulnerable birds. I was part of an international team that designed the census methods in 1998, and I have worked to keep the census going almost every January since. Nearly half of the Humboldt penguin population was wiped out during the 1997-98 El Niño. With 20,558 penguins tallied in January 2014, the small population is slowly rebounding, but still faces many climate and human-related threats. Our first expedition this year focused on two separate island groups. We began with Isla Asia. The fisherman we hired to take us to this island kept his 20-foot-long open wooden boat on a sandy beach. With no dock, we waded into the surf and as the fisherman watched the waves, we scrambled into the boat on his command. The journey to the island took nearly an hour, but we were entertained along the way by several groups of dolphins and hundreds of seabirds. After finishing the counts around Isla Asia and all of the little rocky islets in the area, we went back to shore and drove a little farther north to another set of islands, the largest of which is Isla Pachacamac. The really unusual thing about this island is that there is a very large cave, open to the ocean, where penguins nest and also take shelter at other times of year. When the seas are calm, we can approach the point where the cave opens into the ocean; being very careful of submerged rocks, the fisherman steered his boat to the perfect place to peer into the dim light of the cave with our binoculars. We spotted 490 penguins! 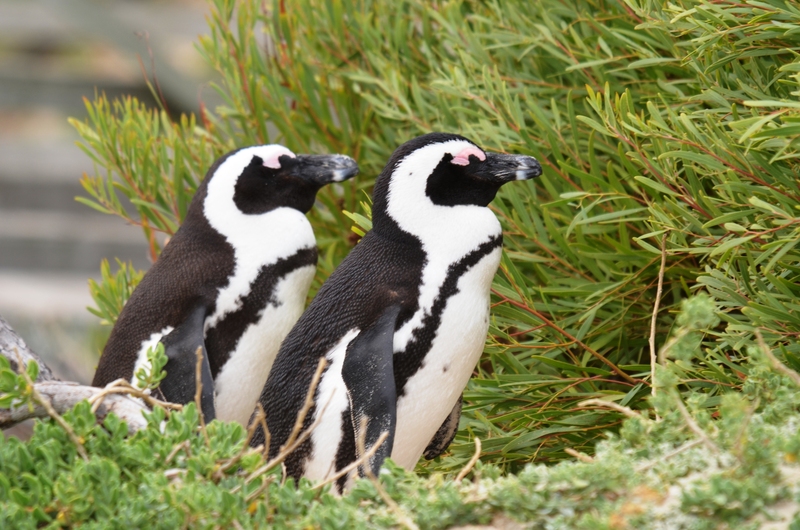 Humboldt penguins are the BEST penguins – or at least that’s my opinion! They’re found on the coasts of Peru and Chile. You may wonder why they’re found well within the tropics, and perhaps you wonder even more why they nest along the coast edge of one of the driest deserts on Earth. In fact, it is so extremely dry that it almost never rains, leaving very few plants. So how do penguins survive here? The ocean is extremely cold because the Humboldt Current flows across the Sub-Antarctic, then turns north and sweeps up the west coast of South America, providing cold and highly productive water. The fish there are very abundant. So penguins may not need frigid air and ice, but they always need cold water for finding food. While in the field, we use a variety of boats to find these birds. In two locations, we charter small tourist boats that accommodate up to 20 people, even though our team is usually only about five at a time. 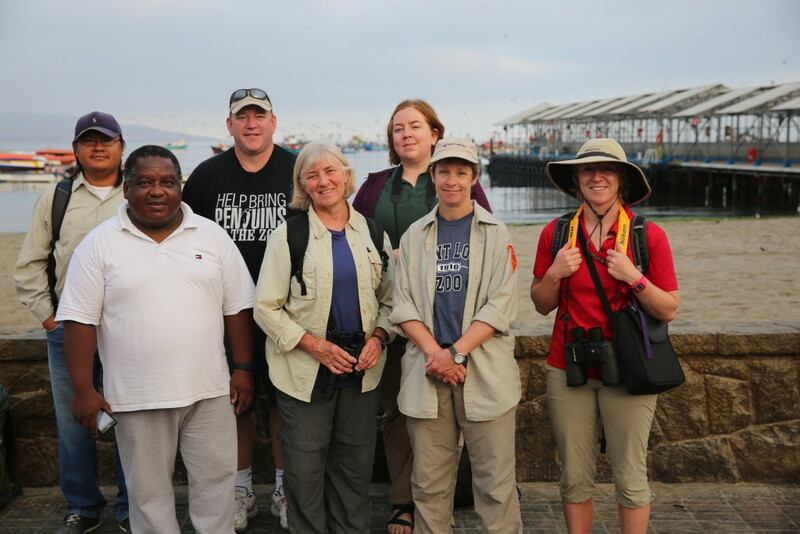 But by chartering the whole boat, we can do two things: visit penguin sites, not tourist sites on the coast, and invite local colleagues and park rangers to participate. At most locations, however, we hire local fishermen to take us to islands. Their boats are typically wooden and range in size from room for eight, down to tiny boats that will hold only three. It’s a big ocean for these small boats, even when we are usually within sight of the coast. These fishermen do not have compasses or GPS, but they know these islands and rocky peninsulas like the backs of their hands. The biggest challenge is dense fog – sometimes we have to stop and just sit until the fog lifts. That’s especially strange when we’re near an island and the cries of invisible sea lions and birds surround us in the fog! Sadly, like their Galápagos and African penguin relatives, Humboldt penguins have declined significantly. These penguins face a few serious challenges – declining food supply (fish); climate change and warming oceans which cause changes in ocean currents and productivity of the ocean; and human-related disturbances where penguins nest. 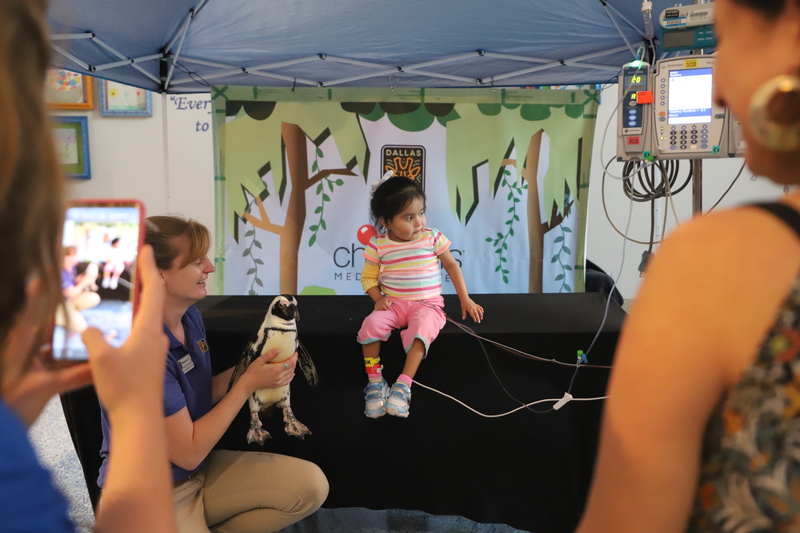 But the Dallas Zoo is working to help our guests discover penguins, and make pledges to help save these birds at home through simple actions, such as, eating sustainable seafood and reducing unnecessary use of electricity. 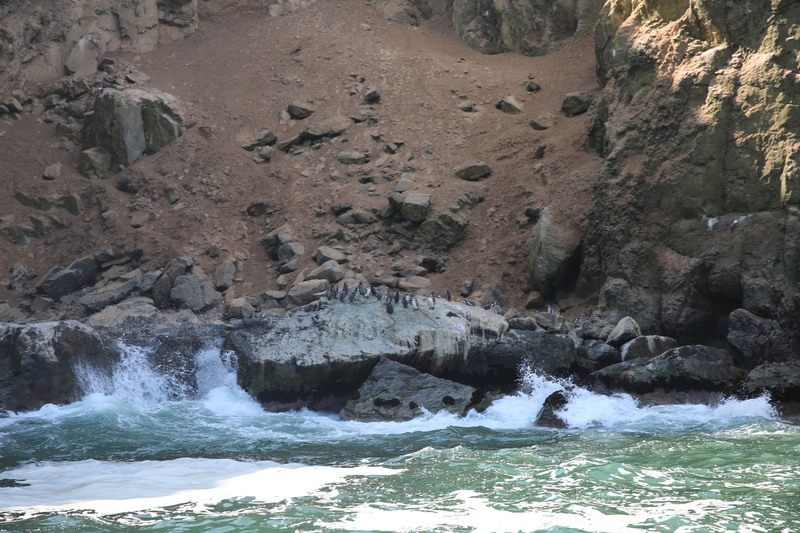 Our census work is very important in tracking what’s happening with penguins all along the Peruvian coast. I’m proud that we have maintained a consistent effort to monitor the fortunes of these birds for so many years. However, this year our results are concerning – at various sites, we’ve seen 15 to 50 percent fewer birds than in recent years. We think the numbers are still affected by El Niño, which causes warming of the coastal waters. 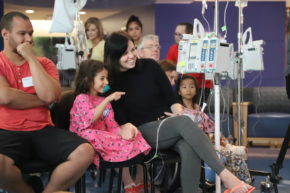 We hope these magnificent penguins are finding ways to cope and that their numbers recover quickly. I look forward to reporting more in 2017.